A school project where we were asked to design a blu-ray box set for a television show or collection of movies. 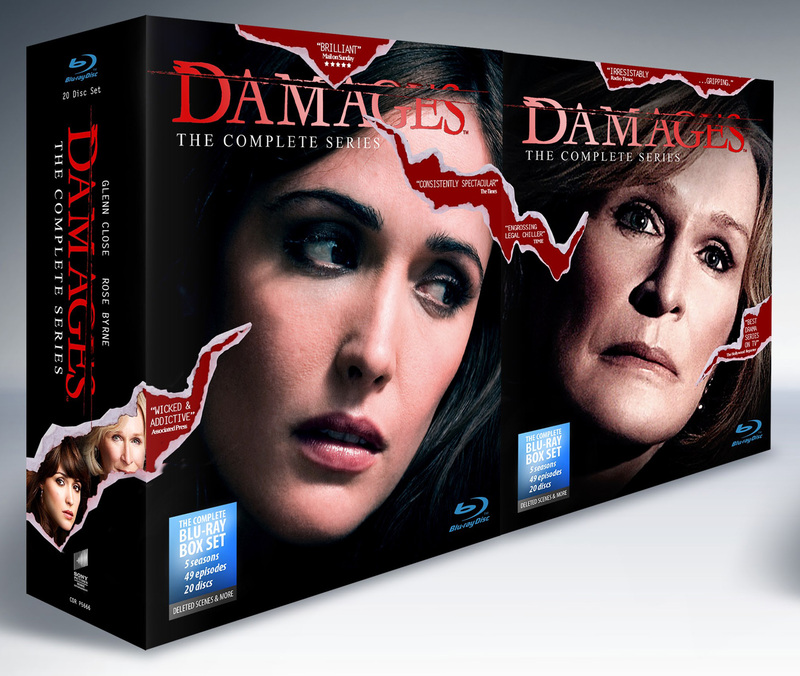 I chose the show Damages. The outer box of my design has die-cuts that resemble tears to the box. The outer box is also double-sided, one side having the actress Rose Bryne and the other side having the actress Glenn Close. This could double the display real-estate if a vendor wanted to display the box-sets side by side. 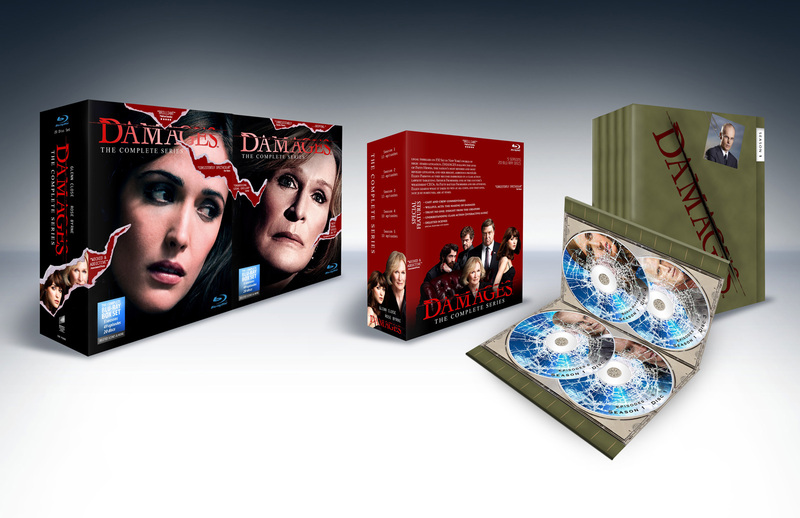 The outer box “Damages” title is made of red foil lettering. Inside the main box of the box set are 5 cases for each season of the show. These cases resemble lawyer file folders (the main characters work in a law firm). 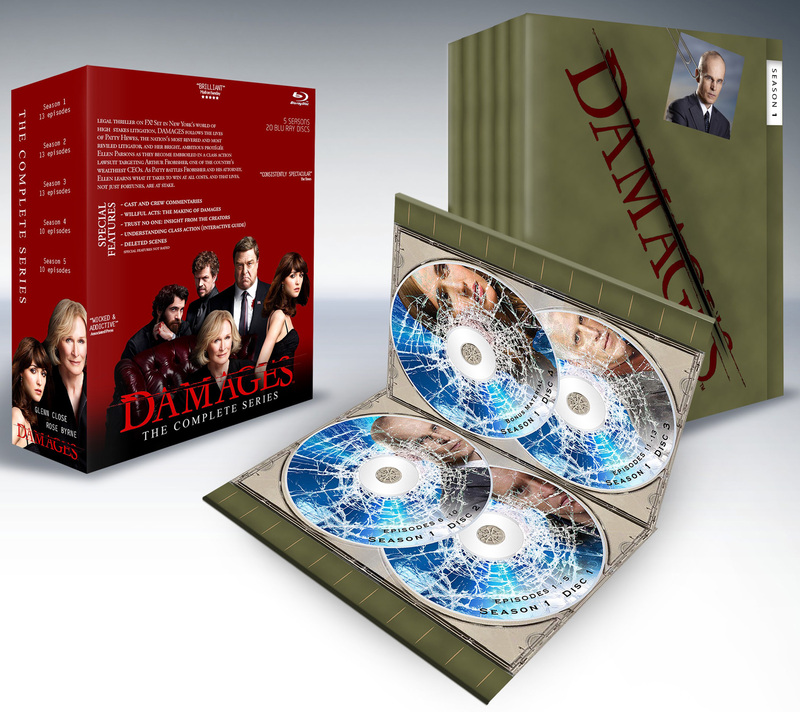 The theme of damage to the box set continues with each season’s case having the appearance of a knife slash and the blu-ray disc graphics having cracks.